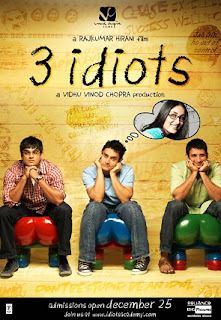 Recently, I watched a very interesting and motivational Indian movie. Actually, the movie was more to romantic comedy however there were a lot moral values that i learned from this particular movie. 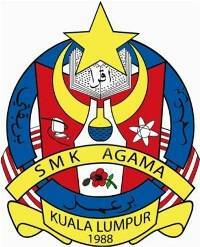 Since the story line involved the school, students, and friendship; so it's good for us to learn from the movie. It's relate to our daily life. And of course it is a Hindi film and we can say it as Bollywood. If the language is Tamil that means Kollywood. I don't know, I think so. But i have never watch Tamil movie before. 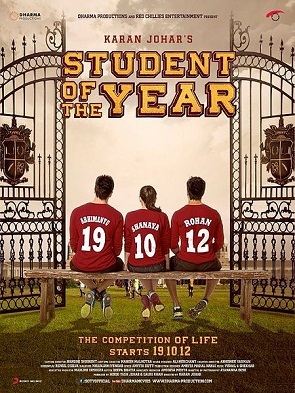 Okay back to the topic, the title of the movie is Student Of The Year...! The movie was directed by Karan Johar, the famous director in India and one of the best in the world. Well, many of us had watched "Kuch Kuch Hota Hai" and "My Name Is Khan" right? Yesss. The movies were directed by him. Since he is the head of production company called Dharma Productions, means he is also a good producer. Isn't it? 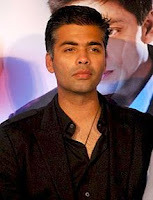 Dharma Productions is also a well-known production company in India. All of the movies produced by this production house are box-office movies. I can say, most their movies are high quality. Wait! I want to share another interesting movie. It is also a fantastic movie and it is recommended for the students out there. It is such a motivational movie. But this story line was not in school but in a university instead. 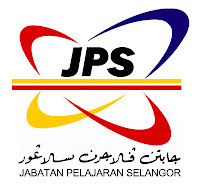 I think, it was about a group Engineering students. I can't remember since I have watched this movie quite a some times ago. And I don't want to read the synopsis because that will encourage me to re-watch. Friendship and spirit in life were the main values that I learned from this movie. The movie is 3 Idiots, one of the highly rated movies of all time. Maybe, many of us have watched this movie but I can feel deep in my heart that there are people who haven't watch this funny yet meaningful movie. Yes both of the movie are comedy. Maybe comedy is an exact genre for us, the y-gen, frankly speaking.